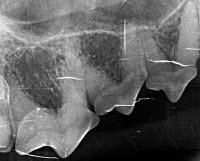 If your pet has oral disease that requires extraction, we can help. Tooth abscesses, fractures, severe periodontal disease, and feline stomatitis are painful conditions that may necessitate extraction. With the aid of safe anesthesia, digital dental radiographs, and pain management, Dr. Bassler uses proper surgical techniques to remove teeth. The gums are sutured closed so that the patient heals faster.